One of the biggest impacts for consumers with HIPAA is the protection and confidential handling of their private health information. The privacy regulations within HIPAA require health care providers as well as their vendors to develop and follow procedures that ensure the security of protected health information (PHI) regardless of whether it is shared orally, on paper, or electronically. It also mandates that only the minimum health information necessary is used or shared. What are my health information privacy rights? It can be demoralizing to discover that your health information has been compromised and you have suffered an injury because private, sensitive information was made public in violation of HIPAA regulations. While individuals do not have a private right of action under HIPAA regulations, you may be able to bring a lawsuit for negligence. At the law firm of Paulson & Nace, we understand how critical it is that your personal health information remains confidential. If you believe that you have been harmed by a HIPAA violation, we are here to make sure that your rights are protected. Our background in medical malpractice and personal injury helps inform our privacy protection work when it comes to HIPAA violations, giving us an advantage because of our extensive knowledge of the medical field and the rules which govern it. When you need a Washington, D.C. privacy protection lawyer who does not back down, you want Paulson & Nace by your side. Schedule a no obligation case review with a Washington, D.C. consumer protection attorney who will fight for your right to keep your personal health information private. 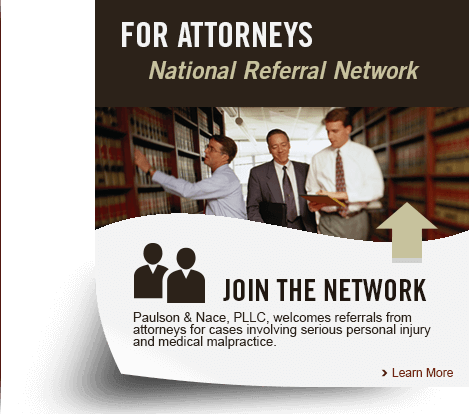 Please contact Paulson & Nace, PLLC, by calling 202-930-0292 or filling out our contact form and reserving a consultation.